If you think you can escape this week's cold blast, think again. The extreme cold fanning out across the country this week will reach from the Gulf Coast to Maine, covering even parts of the south in snow on Tuesday. About 250 million people -- or 77% of the continental US population -- will face temperatures below freezing this week. 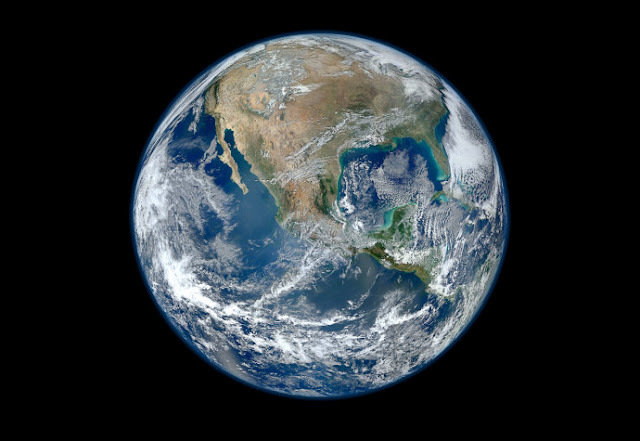 Of those, 90 million will endure temperatures below zero and a staggering 25 million Americans could see temperatures fall to 20 degrees below zero, according to meteorologist Ryan Maue of weathermodels.com. The coldest air in more than two decades will blow through the central and northern part of the country, with wind chills in the northern Plains and Great Lakes region reaching 30-60 degrees below zero, CNN meteorologist Dave Hennen said. Temperatures will plunge to 20-40 degrees below zero between Tuesday and Thursday in the Upper Midwest and Great Lakes, Hennen said. The National Weather Service is warning that accumulated snow and frozen roadways throughout the eastern and southern US may leave roadways too dangerous to drive on. The extreme weather has caused schools across the country to shut down for at least part of the week. And more than 3,480 US flights have been canceled through Wednesday, according to Flightaware.com. At least two deaths have been attributed to the current cold pattern. A man in Rochester, Minnesota, was found dead Sunday outside the home where he was staying with a relative. CNN affiliate KIMT reported 22-year-old Ali Alfred Gombo didn't have keys to the home and was unable to enter after being dropped off outside early Sunday morning. The single-digit temperatures that dipped below zero may have played a role in his death, according to Rochester police. Police in Libertyville, Illinois, said a man was killed Monday morning as a result of the weather. “The man died after a roadway crash involving a village plow truck and a pedestrian,” police said. The man was pronounced dead at the scene and the plow driver has been placed on paid administrative leave pending the results of an investigation, according to police. Illinois Gov. JB Pritzker warned of a "potentially historic winter storm that will bring extreme cold to our state." The state has activated an emergency preparedness plan to help state agencies and residents prepare for the brutal temperatures, Pritzker said. Chicago is one of the cities "in the epicenter of the extreme cold," Hennen said. 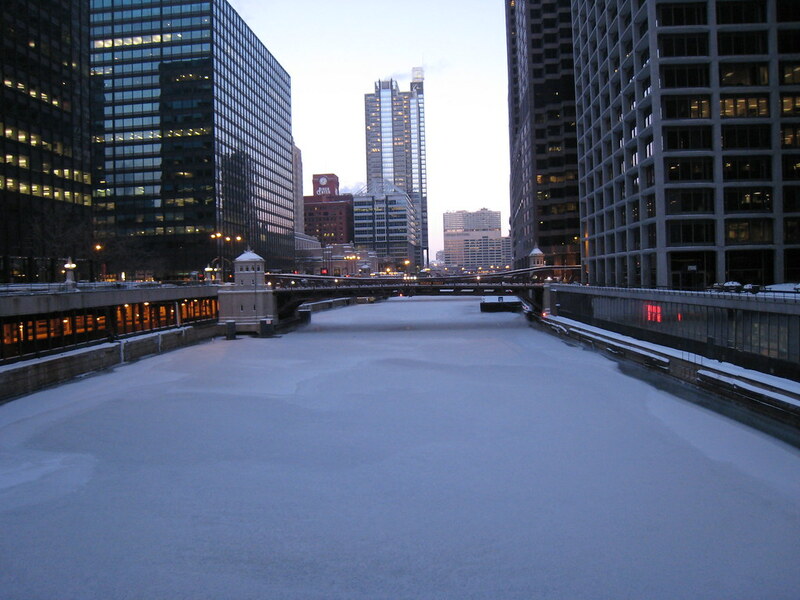 The river winding through downtown Chicago has already frozen over. It could remain below zero in the city from around noon on Tuesday until around midday on Friday, Hennen said. 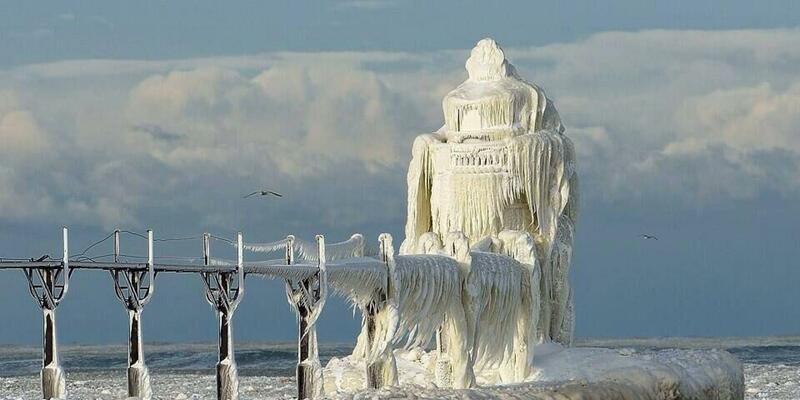 Lows in the Windy City are expected to approach a record of 27 below zero. The daytime high on Wednesday could reach 15 below. On Sunday, Chicago police officers formed a "human chain" to save a man who fell into the freezing Lake Michigan trying to save his dog, according to CNN affiliate WLS. The five officers grabbed onto each other's belts and pulled the 33-year-old man from the water, WLS reported. His dog also was rescued, the news station reported. “We didn't talk about it, we just kind of did it,” Chicago Police Department Sgt. Alex Silva said at a Monday news conference, according to WLS. Mayor Keisha Lance Bottoms said she is in touch with NFL officials and will work with them regarding events scheduled across the city as winter weather moves into the area. Temperatures are expected to rebound before Sunday's kickoff at the Mercedes-Benz Stadium, melting anything that sticks to the roads in time for the big game. This CAN'T be happening. We all know the planet is getting warmer! You clearly don't know or understand how global warming works, do you? You'd say differently if you were in Australia recently where they had record breaking heat waves... Just look up the science behind it all.